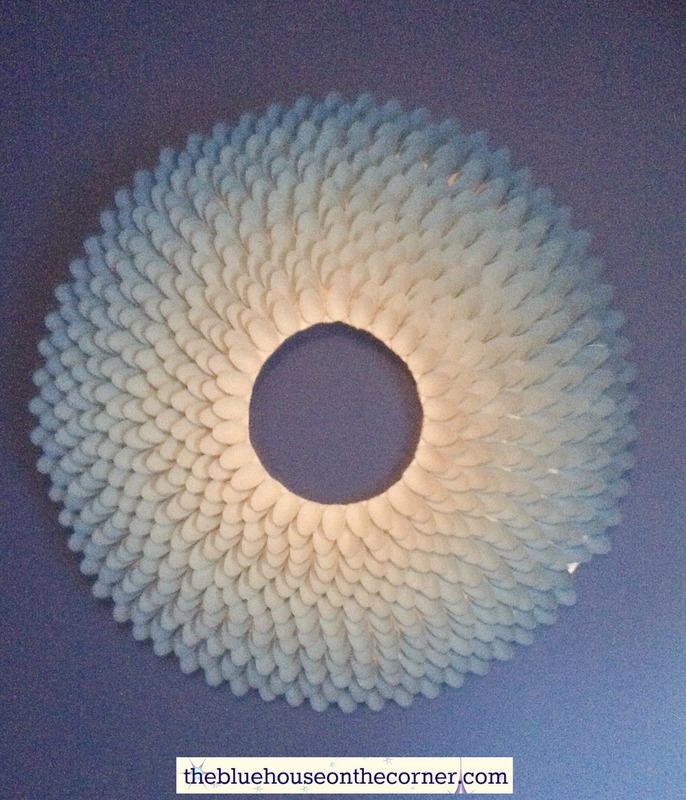 This is a really easy craft for anyone to do! I was lucky when I found plastic spoons on sale for $0.25! I picked up 4 packages of 50 in each. They were smaller than regular spoons, so I ended up having to go and get another 4 more packages! 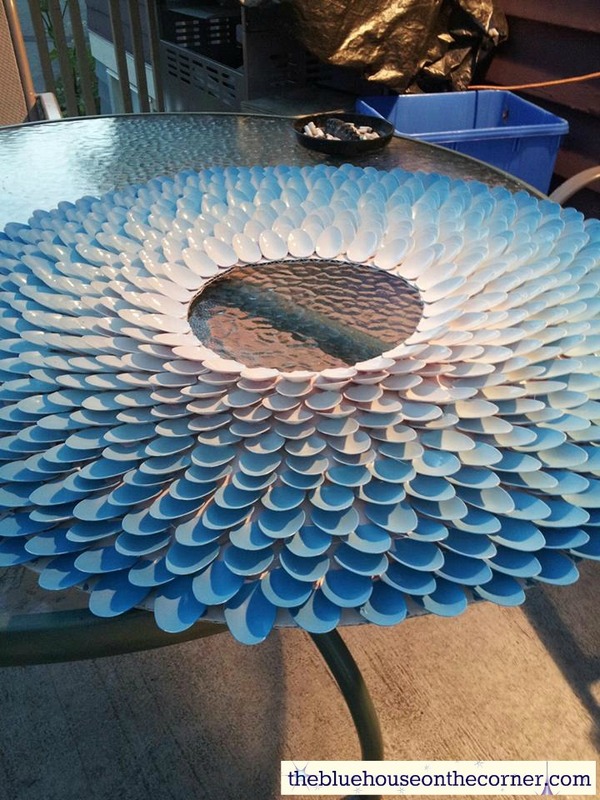 SO… I ended up using close to 400 spoons! I did not take pictures of all the different steps, but it is really easy! Step 1: Cut all handles of the spoons off. Try and cut them as even as you can. Step 2: Cut out a piece of cardboard to the size that you want. Also cut a circle into the center (would be nice to have a mirror here!) Keep in mind the spoons will hang off the edge a little bit. I reinforced the back of the cardboard by hot gluing paint stir sticks to it. At this point I also super glued some string to the back to hang it. Step 3: Start gluing down the spoons! 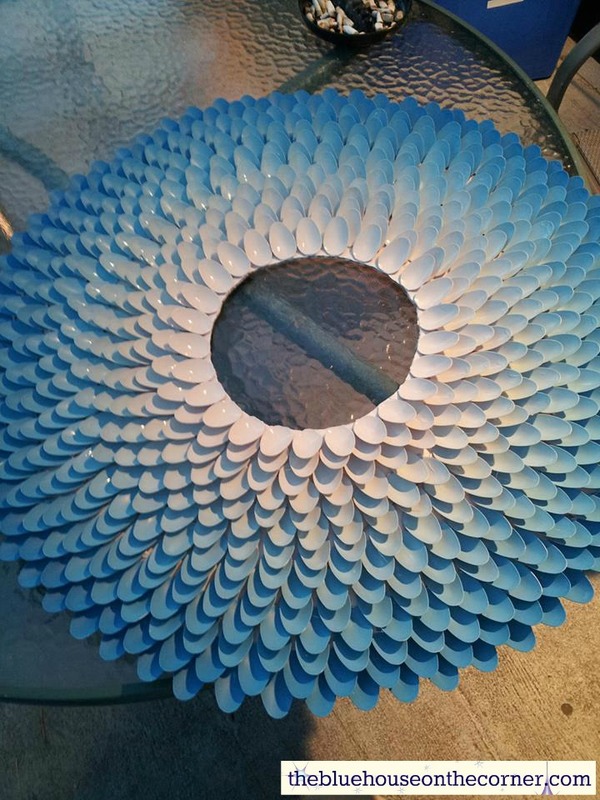 Start from the outside of the cardboard and work your way into the center. I found it worked better if you left an eighth of an inch in between each spoon. this gave me a bit of place room with the rows closest to the center. Step 4: When all the spoons were attached, I spray painted the entire thing! I made sure I sprayed a lot of the cardboard that was showing in between the spoons. If you just wanted one solid colour, then spray and then your done! Hang and enjoy! Step 5: I wanted a different look for mine. The piece of art is going into my bedroom which is dark royal blue. I took some left over pain that I had and added a small amount of white paint to lighten it up a little. 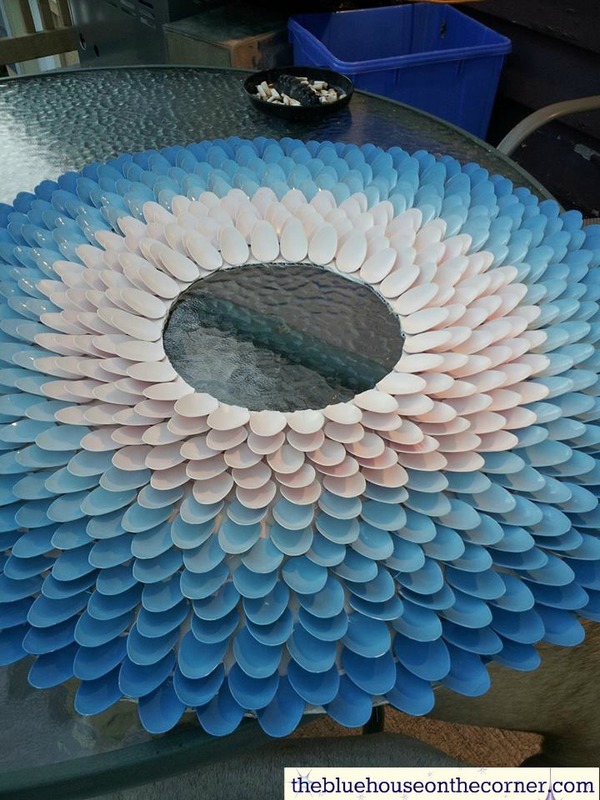 I painted the entire first ring of spoons. For the next ring, I added a little more white. Here it is all finished! I love how this turned out! And here it is hanging above my bed where it was meant to be!